The Macleod Netball Club was formed in 1951, and since that time has seen a continual growth from 10 players to over approximately 200. The Club started playing competitions with the Baptist Church of Christ, run by the affiliated Churches Basketball Association, at that time we were known as the Macleod Uniting Netball Club. 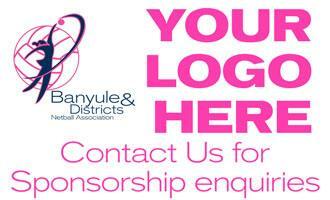 In 1998 we helped form our own Association – the Banyule & Districts Netball Association. Our intention was to develop an indoor stadium and we sought assistance from the Banyule council to build one in the Banyule Community. With the help of the Banyule Council and Macleod College, this venue was completed in May 2003. The Macleod Netball Club has 18 teams playing in 2013 ranging in ages from 9 and Under’s to Open Seniors. The Macleod Netball Club prides itself on being a family club, and works hard to achieve this goal.